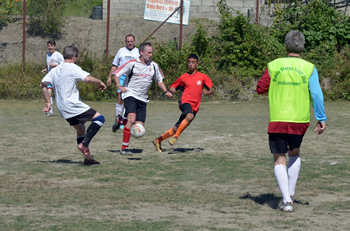 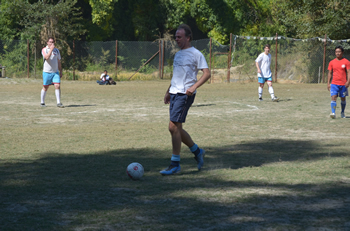 The match had not been going for long when Chris Hough streaked down the left wing and scored. 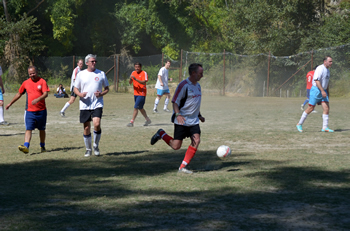 Not long afterwards he repeated this success followed by Ed Watson and Mark Jones. 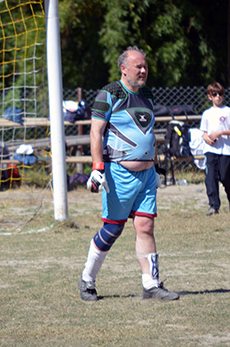 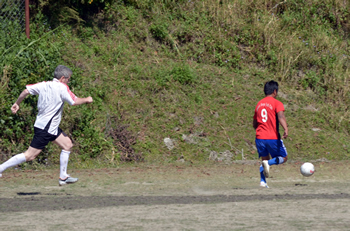 With the score at 4-0 after about 15 mins Patrick, as referee got so over excited that he blew the whistle for half time. 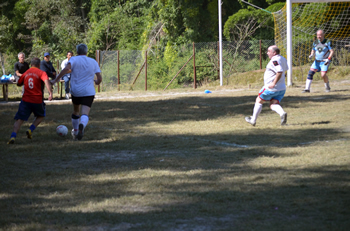 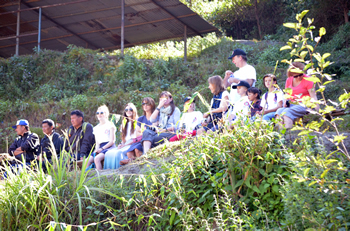 The deputy time keeper, Desiree, informed him that there ought to be a bit more time. 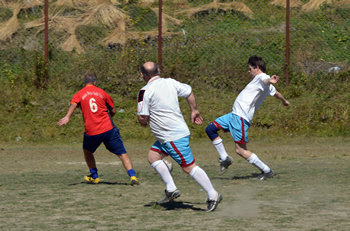 25 minutes later by half time Peter Knight had managed to fumble the ball into the net for an own goal, James and Mark managed a goal each and the score was 6-2. 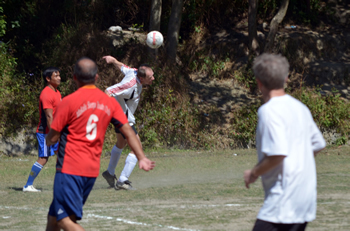 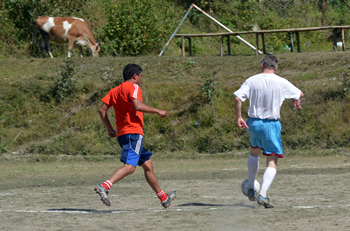 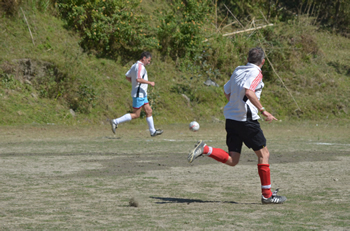 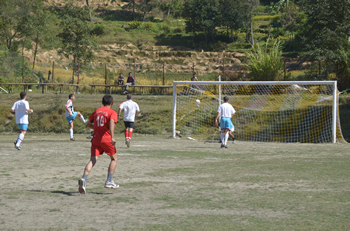 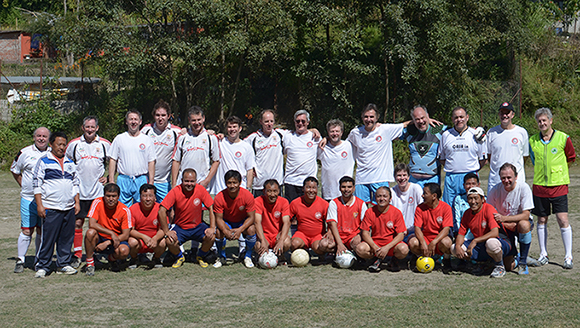 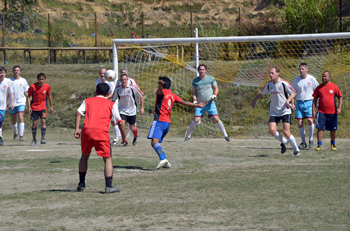 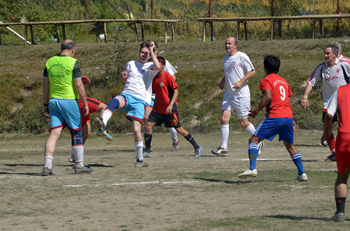 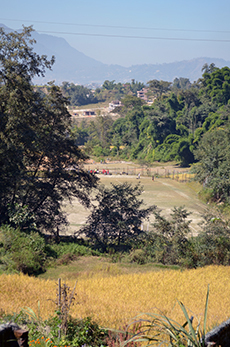 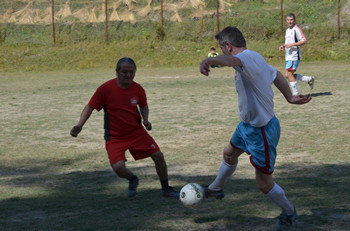 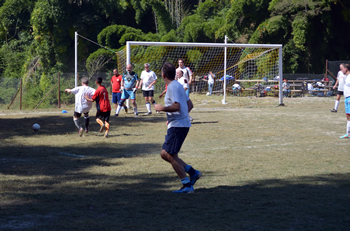 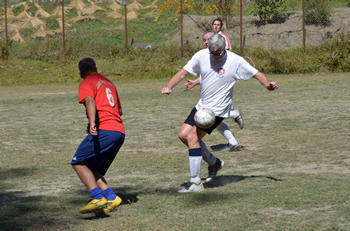 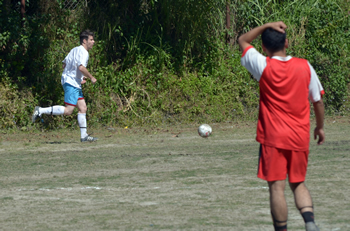 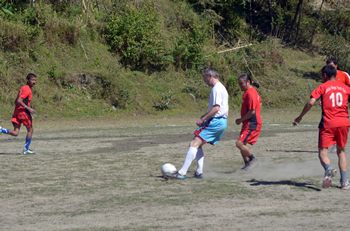 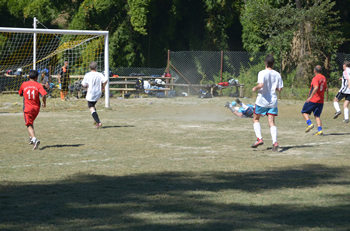 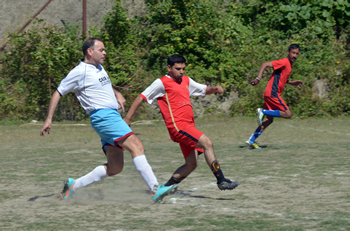 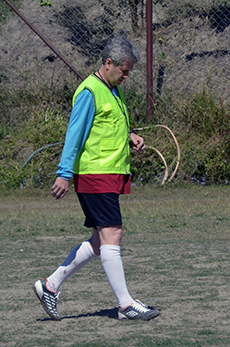 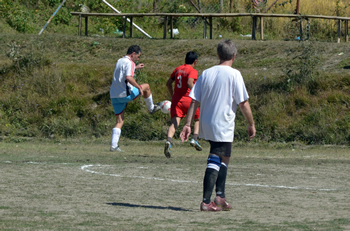 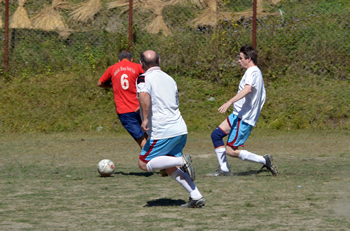 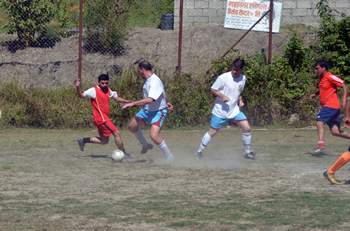 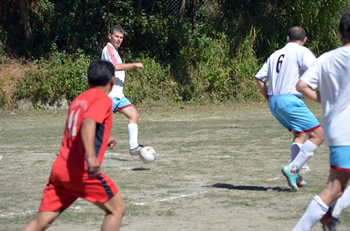 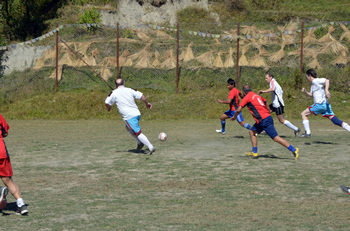 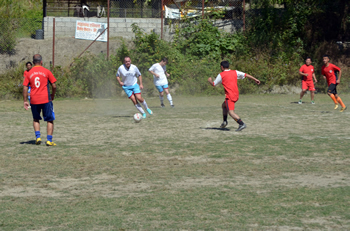 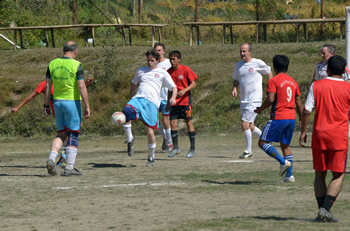 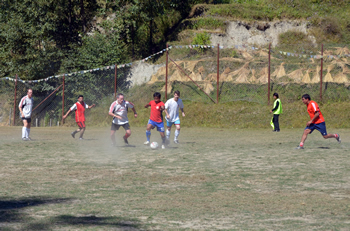 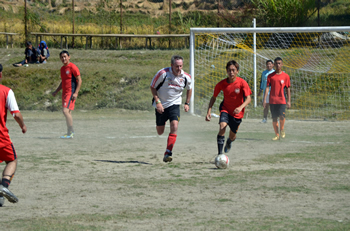 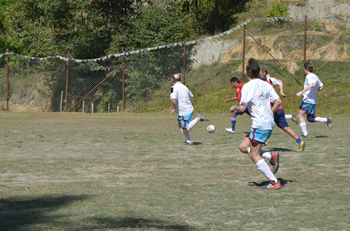 For the second half the Makalu Sherpas team found their form and scored 4 goals but a couple more for the Racing Club and the final result was 8-6.